Rochester’s Serra Donovan Law Group is merging with the Birmingham law firm of Lippitt O’Keefe Gornbein, and William Donovan is joining the latter as senior counsel. Reese Serra will serve as a special advisor to the firm. 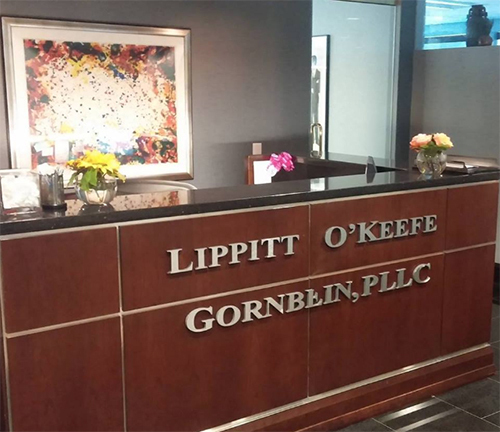 The expanded Lippitt O’Keefe Gornbein practice group will maintain offices in Rochester to serve clients acquired in the merger. The headquarters will remain at 370 E. Maple Rd. in Birmingham. A graduate of the University of Detroit Mercy School of Law, Donovan holds the Martindale-Hubbell National Law Registry’s highest rating, is a U.S. Navy Judge Advocate General and is a licensed real estate broker. Lippitt O’Keefe Gornbein specializes in commercial and business litigation; business and corporate law; intellectual property law; civil litigation; divorce and family law; real estate law; personal asset and estate planning and protection; municipal law; bankruptcy law; appellate court practice; dispute resolution, and medical issues related to substance abuse.